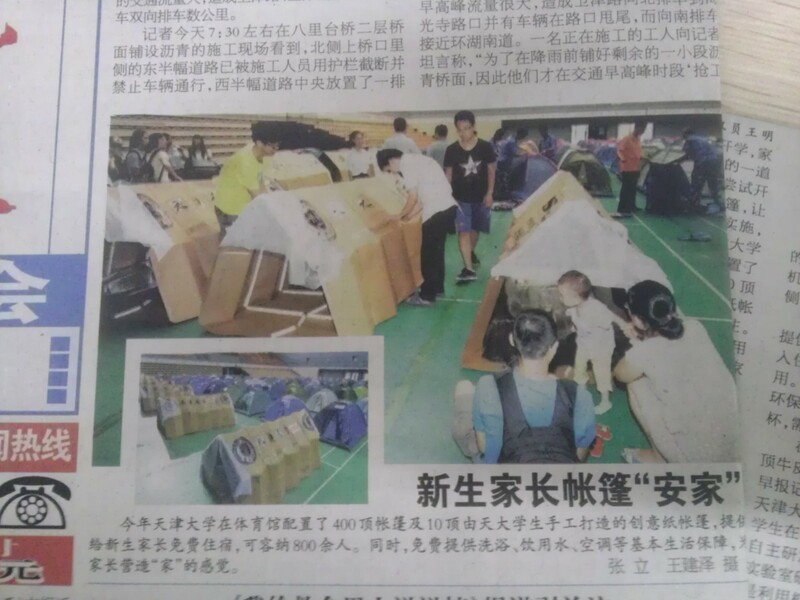 The videos and pictures show students from school of mechanical engineering in Tianjin University making up the paper tents in the gym. 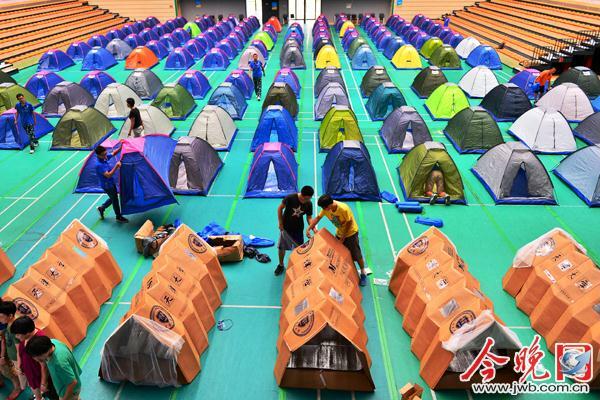 More than 200 “love tents” have been erected in the gymnasium in Tianjin University, which provided free accommodation for the parents of nonlocal freshmen on August 27. 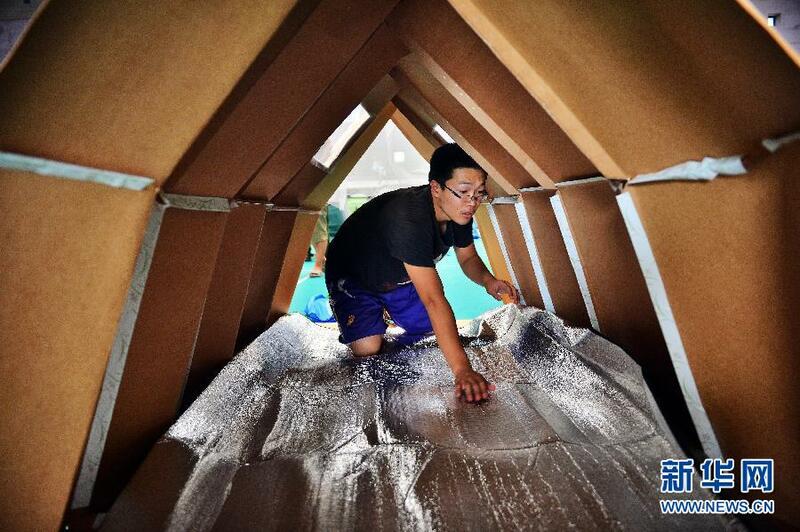 There were 10 tents made ​​of kraft paper particularly eye-catching among them. 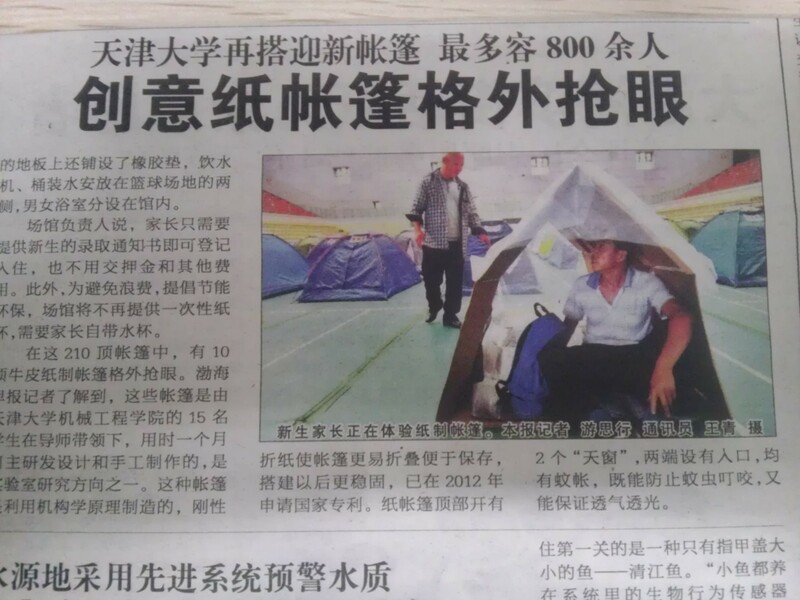 As we know, those tents were designed and made by 15 students from School of Mechanical Engineering in Tianjin University by using theory of mechanism. 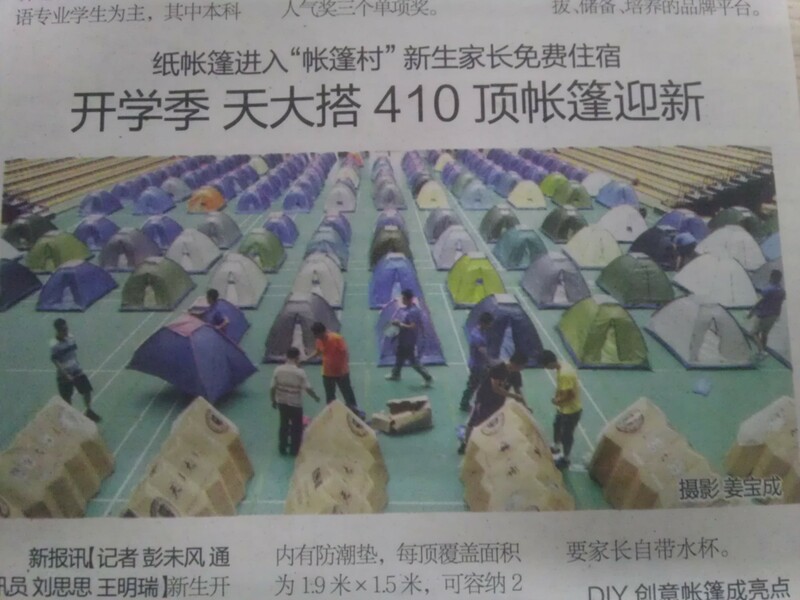 Compared to other tents, those tents are made up with rigid origami, which make it easier to fold and save. 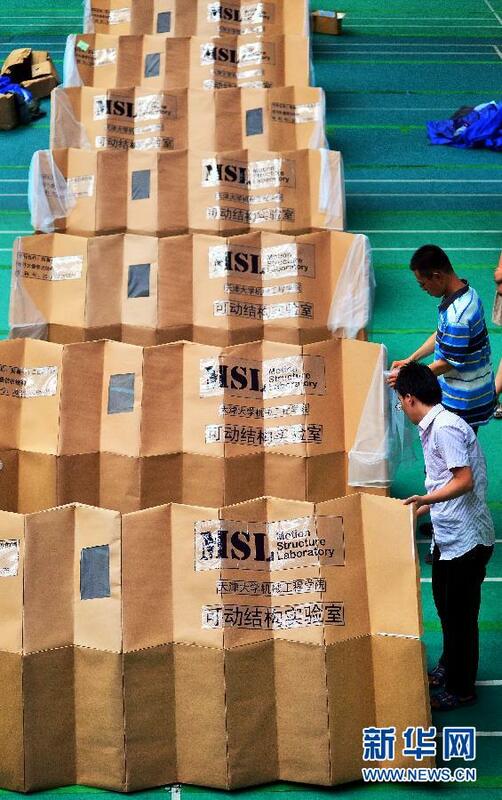 Besides, their stability and ventilation are better.